We all know that feeling: Burnt out, bored with the everyday, and in need of a night out on the town. Luckily, Fort Lauderdale, Florida, is a city known for its vibrant nightlife scene! Whether you’re yearning for a late-night escapade with a group of friends or an intimate evening out with that special someone, Las Olas Bars offer a perfect combination of excitement and waterfront relaxation. Here are the best bars along Las Olas Boulevard, Fort Lauderdale’s famous strip! Access our free Fort Lauderdale Vacation Guide today to discover more of our city’s top activities and attractions! A colorful, spacious patio and noteworthy charcuterie are what stand out about Vinos on Las Olas. This hidden gem is the place to go if you and yours are looking for a refined selection of complex wines and craft brews complemented by tasty appetizers. This spot even offers live music on weekend evenings! Is a pirate’s life for you? If so, stop by The Pirate Republic and Bar for bites with Caribbean-Mediterranean flair, plenty of live music, and a weeknight happy hour that will make your vacation all the better! Patrons can enjoy patio views of the waterfront with a rum-spiked drink in hand. Shiver me timbers! No outing along the Las Olas waterfront is complete without a trip to Wild Sea Oyster Bar + Grille, one of the best riverfront bars in Fort Lauderdale. Though a full-service restaurant, this seafood lover’s dream boasts an impressive selection of wine, cognac, and scotch. This high-end spot exudes a contemporary, minimalist feel, which makes for the perfect fancy night out. Over 400 varieties of tequila live at Rocco’s Tacos and Tequila Bar, a true mecca for liquor lovers! This bustling, hip hangout is a favorite for artisanal tacos and traditional favorites like enchiladas. Don’t forget to order some of the tableside guacamole to compliment your delicious margarita! For a high-energy night out, show up at Cash Only Bar on Las Olas! This nightclub features three different rooms, each with a different look and feel. Guests love the eye-popping decor, excellent live music shows, and great drinks. There’s something to suit all tastes at Cash Only Bar! 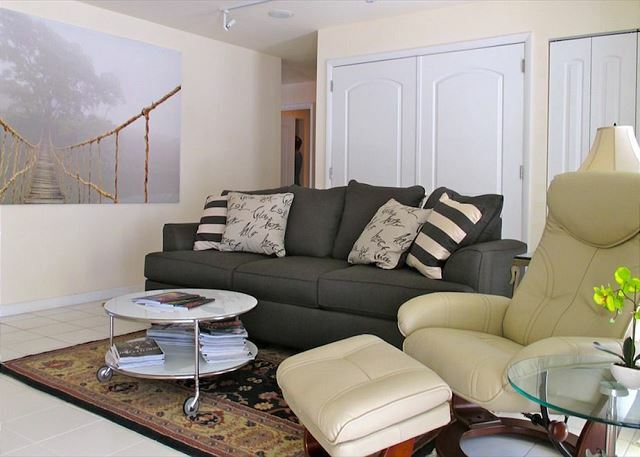 End the Night at a Cozy Las Olas Vacation Rental! After a fun evening of exploring the local bars, it’s time to get a good night’s rest. One of our private, luxurious vacation rentals is a perfect choice! In addition to Fort Lauderdale Beach and Wilton Manors (where you can find several fantastic Fort Lauderdale gay bars), we offer properties in the neighborhood of Las Olas. No matter which you choose, you’ll be just around the corner from all of the excitement. Each of our rentals includes premium amenities and access to all of the best things to do in Fort Lauderdale!